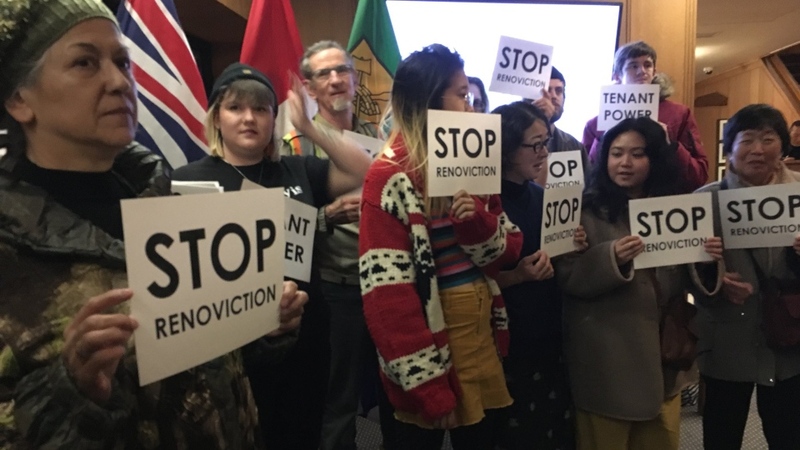 Vancouver City Council unanimously approved key parts of a motion Tuesday aimed at protecting tenants who are forced out of their homes by landlords looking to turn a quick profit. COPE Coun. Jean Swanson's motion included measures that will require landlords to offer displaced tenants the opportunity to move out while renovations to the property are being done without cancelling their lease or increasing the rent. This is aimed at preventing renters from becoming victims of "renoviction"— the practice of evicting tenants so a landlord can demolish, renovate or sell a property. Another approved part of the motion proposes that "the city devise methods to keep track of all apartment buildings sold in Vancouver and immediately provide affected tenants with information as to their tenancy rights by mail." Councillors also voted in favour of measures to regulate tenant buyouts. The Vancouver Tenants Union is celebrating the uniamious decision, calling it a victory. 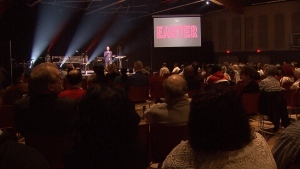 "This is a big signal that things are different," said Wendy Pedersen with the VTU. "Business as usual in Vancouver is over. The developers, even though they lobbed [city council] hard, they didn't get their way. The tenants won today and this is a huge change for the City of Vancouver." However, Swanson isn't fully satisfied because parts of her original motion were amended. Mayor Kennedy Stewart asked for more time and information when it came to offering better protection for people living in single-family housing, like those renting basement suites. Councillors voted in favour of an amendment asking city staff to report back within the first quarter of 2019 with language and timeline for the city to call upon the province to amend the Vancouver Charter in a way that would allow the city to tackle tenancy issues without conflicting with B.C. Residential Tenancy Act. Swanson is calling the decision a partial victory. "Usually what happens is you put forward something strong and then it gets mushed up. And this got mushed up," Swanson said. Pedersen said the union isn't backing down and will continue to advocate for tenants. Anti-renoviction protesters are seen at Vancouver City Hall on Dec. 4, 2018.